Available to Order Approx 1-4 weeks. Call for details. 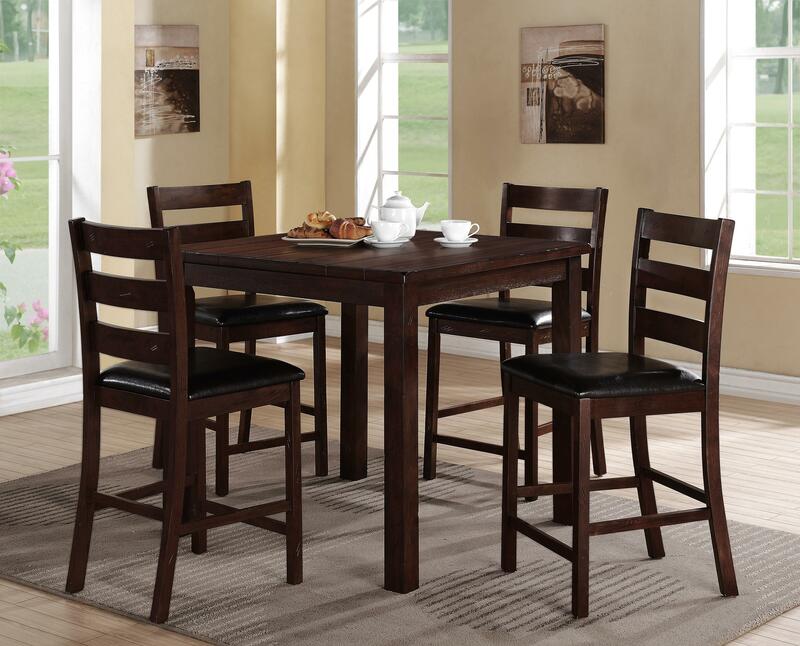 This counter height table set is a great addition to your casual eating space. The table has a square top with the look of slightly-distressed wood slabs, giving a country-chic feel. 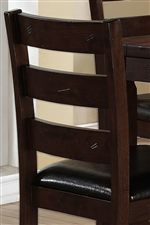 The counter height chair features a ladder back and a dark brown upholstered seat. Down below, the legs are connected by a stretcher support, creating a space to set your feet. Completed in a slightly-distressed dark brown finish, this set is warm and inviting. The Quinn 5 Piece Counter Height Table Set with Ladderback Side Chairs by CM at Michael's Furniture Warehouse in the San Fernando & Los Angeles area. Product availability may vary. Contact us for the most current availability on this product. Add the Quinn collection to your home. It includes a counter height table and chairs, perfect for a casual and relaxed atmosphere. Details include a slightly distressed dark brown finish, wood slab table top, and upholstered seats in the chairs. The Quinn collection is a great option if you are looking for Transitional furniture in the San Fernando & Los Angeles area.